Back in November 2009, an unknown American company called Saygus made some noise about its Vphone, an Android smartphone that it calls the “Personal Communications Device of the future” (and more) on its website. It’s proving to be a distant future. 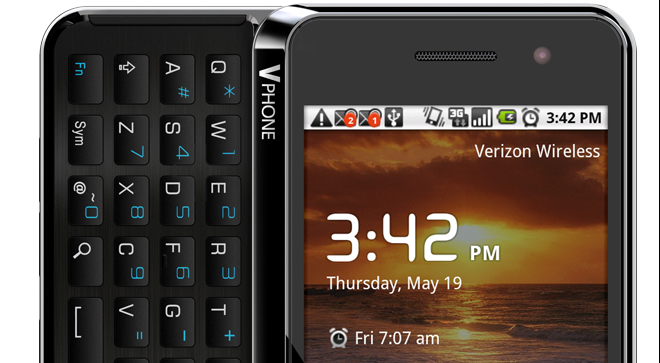 The Vphone wasn’t heard from again until August 2011, when Saygus announced that it had pushed it through Verizon Wireless’s “open development initiative” approval process and planned to start selling the smartphone ‘soon’. Fast forward to today, and you still aren’t able to obtain one, but after vanishing a second time Saygus is at least showing some signs of life through an SEC filing. A regulatory filing reveals that it is working on closing an $8 million financing round, of which $1.3 million has already been committed. Does that mean Saygus’ Vphone is finally close to its market debut on the market? And more importantly, will anyone care?